Today’s palm branch procession, and reading of the passion of Jesus signals our move into Holy Week. It is helpful to see these days before Easter as a week of retreat. While we continue our family and work routines, our focus is guided beyond. In these days let us look together to Jesus. We remember the last days of his life: suffering unjustly and death as a criminal. We recall these events that gave us new life. When we think of something that happened a long time ago – especially when it happened before we were born, it is easy to slip into nostalgia about the past. In this mode we remember what has happened, knowing that it has already happened. It is over. While this mode of memory can help us to learn from the mistakes and methods of the past, this is not the kind of remembering the church calls us to in Holy Week. Our adult life of faith, actively seeking maturity in following Christ, demands as a first step the reawakening of a desire to be fully and authentically human. This is not a simple recalling of a past event, but a present re-membering (that is, giving living body to) the past reality that is in fact a present event and a living experience today. Perhaps it is helpful to consider an example. From history many of us have learned of the Battle of Waterloo. We know that this event happened. We have no doubt since our knowledge has come to us from many independent and reliable sources. There is no doubt that for the families of the (almost) fifty thousand soldiers that died, this event was unforgettable. Now, for the descendants of these families, to have an uncle who died in the fighting has become a badge of family honour. But the death of Jesus is not such an ‘historical’ memory for the disciple. The difference is that whereas Napoleon and his soldiers are now dead, Jesus is alive. The blood on the battlefields of Belgium is no longer visible. But the suffering of Jesus continues. The life, death and resurrection of Jesus are not simply moments of history. 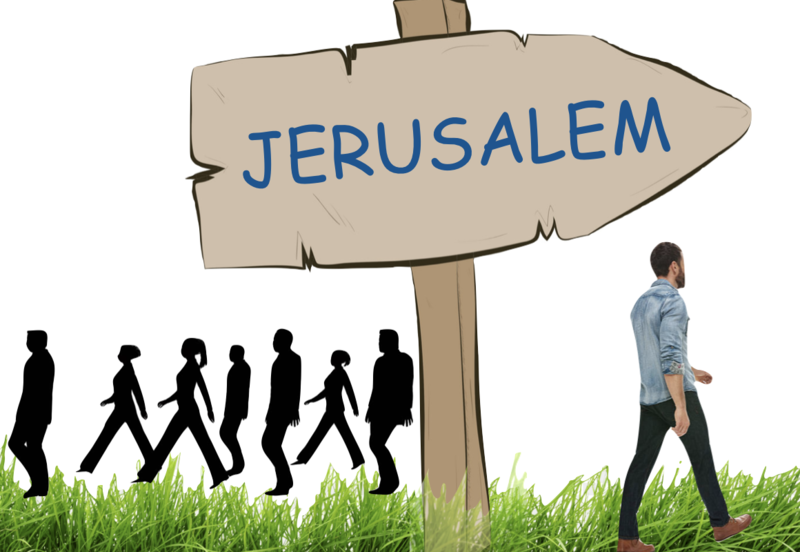 These events are the present reality of the life of the twenty-first century disciple. Jesus is alive and present. Napoleon is dead and gone. The community of Jesus is alive and thriving today, not because of our successful pastoral plans, but because Jesus is alive. I invite you to immerse yourself fully in the events of Holy Week. You have begun by being at this Palm Sunday commemoration of the Passion of Jesus today. 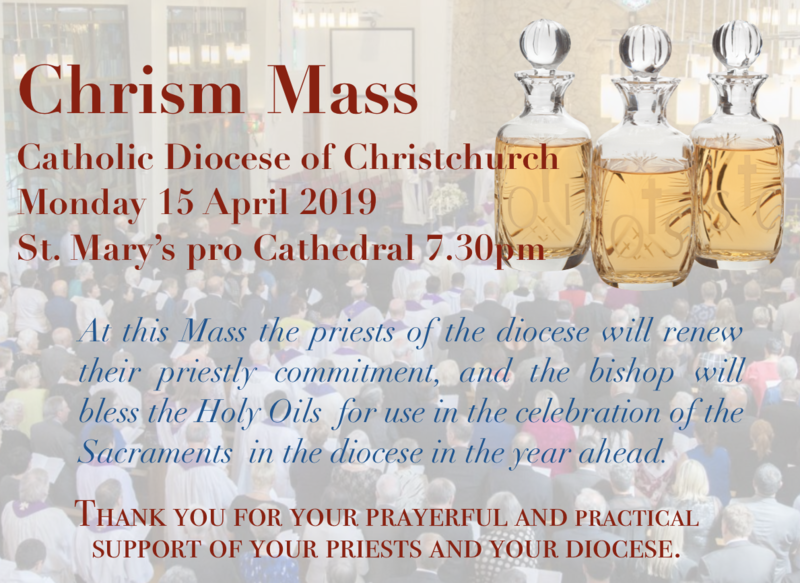 Join with the bishop and priests of the diocese who gather to celebrate the Mass of Chrism. On Holy Thursday we enter the Triduum with the events of Holy Thursday evening and Good Friday leading us to the great celebration of the resurrection of Jesus at the Easter Vigil (Saturday evening) and the Masses of Easter Sunday. As we walk this journey together we do so not as passive spectators or students of history. Instead we journey this path as people of faith, Christians sharing (in our own lives) in the suffering and death of Jesus. We know the promise too, that those who walk this path, and who live this life confident in the personal presence and activity of God, will share in the glory of the resurrection. 3 Responses to "full immersion"
Good morning I look forward to immersing myself into this Holy Week and will busk in the glory of Our Lord’s resurrection. Wow, another on point reflection John. I attend a large Parish with a small church so we have numerous masses each weekend to meet the needs of parishioners as best we can. This morning we had an unusually large attendance at 9 with first communicants families in attendance, free bread to give away, the End of Life petition to sign, Planned Giving envelopes to be collected, restricted car parking due to buiding alterations and Palm Sunday procession plans. Consequently some people were not at their best and others shone with an attitude of “let me help”. Through it all, including the prolonged “Passion of Christ” there was an enduring sense that the Lord was with us. It was chaos, discomfort and stress. It was life in action, and it was glorious. We don’t always get what we want but we certainly get what we need. Looking forward to the holiest of Holy Weeks! God bless and keep up this awesome work. we enter fully into a story that is “always living”- no matter where we are. Thankyou for your reflections during this season. They have been very thoughtful- and thought provoking.